A banana is exotic for our country, though you can buy it easy. And in India, where this plant grows, a banana is a usual food. They eat a lot of bananas, we eat a lot of potatoes. 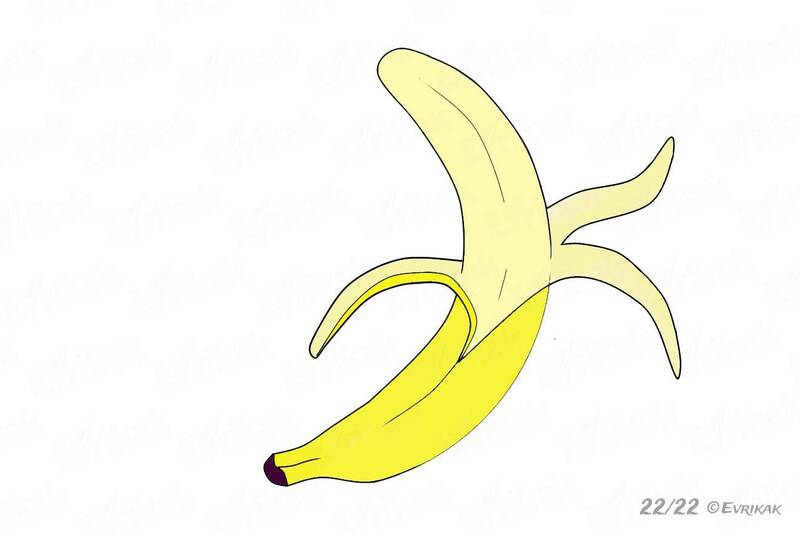 Everyone thinks that banana is a fruit, but in fact it’s a berry. 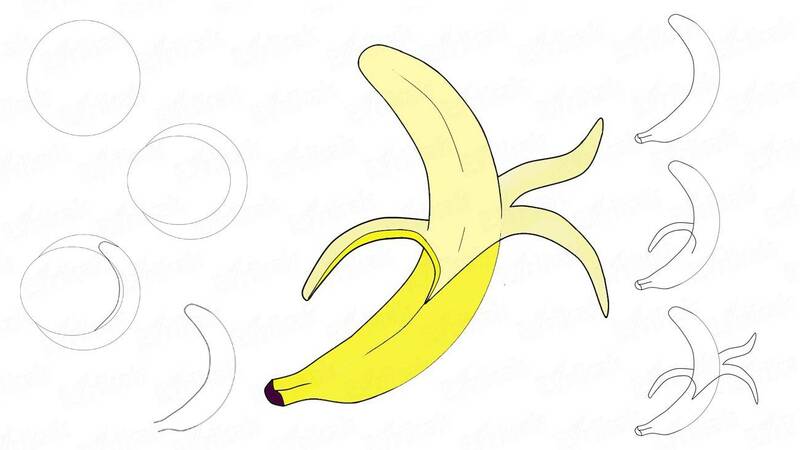 Except yellow, the bananas can also be of red, black and “golden” colors. Bananas contain a lot of vitamins. Bananas grow on small trees with huge leaves. 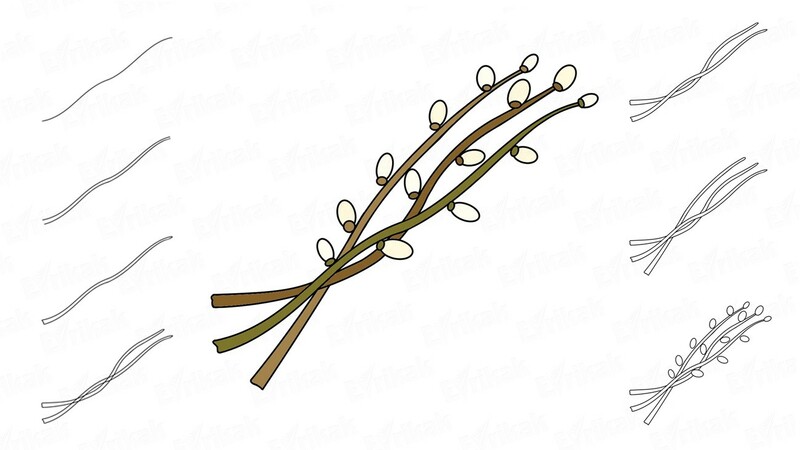 On one banana stem can be about 300 fruits. 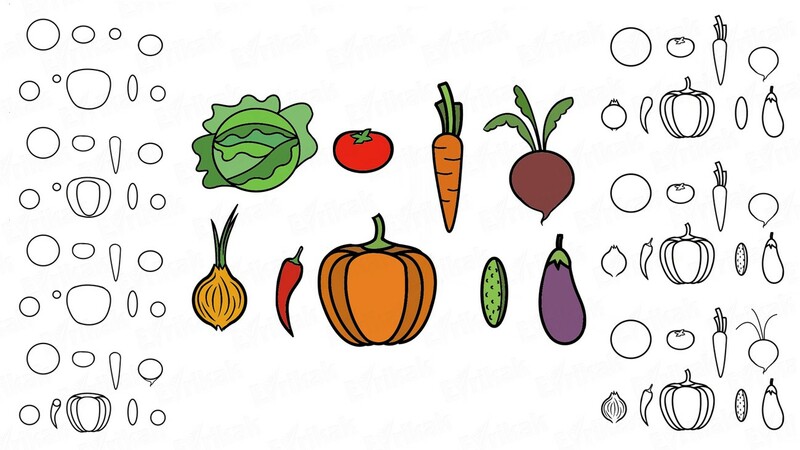 We start drawing the basis which will help to draw the fruit correctly. 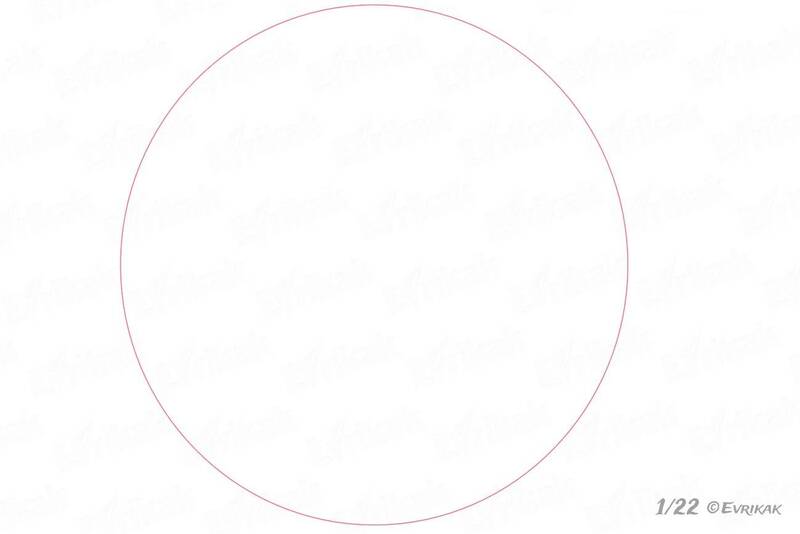 Draw a huge circle on a sheet of paper with the help of a compass. 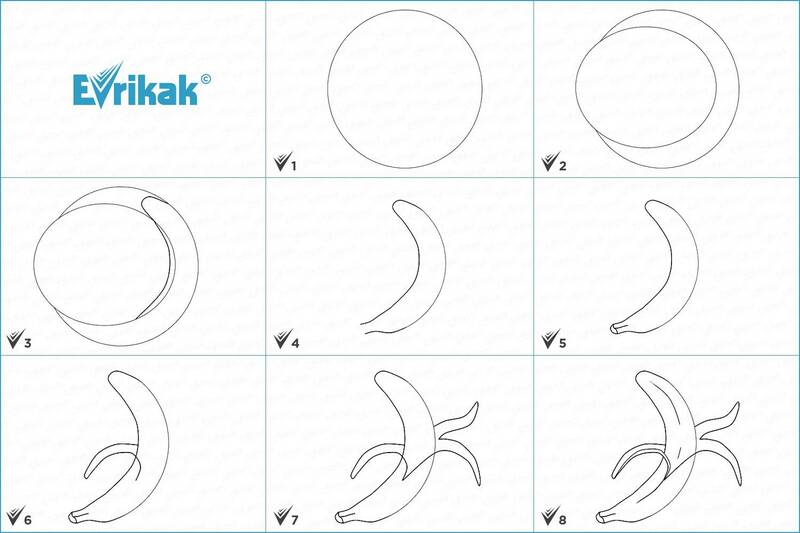 Next, draw a smaller circle on a big one. It should be a little to the left and close the most part of the first figure. 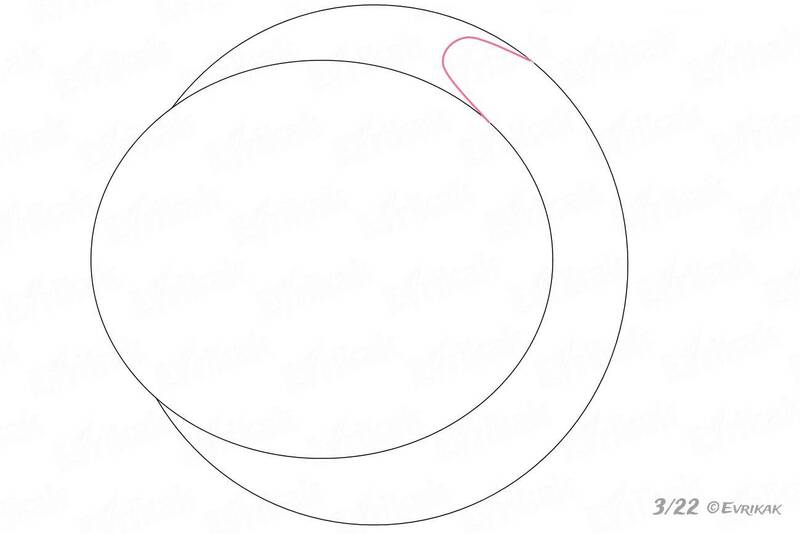 A big circle turns into a small semi-circle, it looks like the crescent moon. Start drawing a banana. 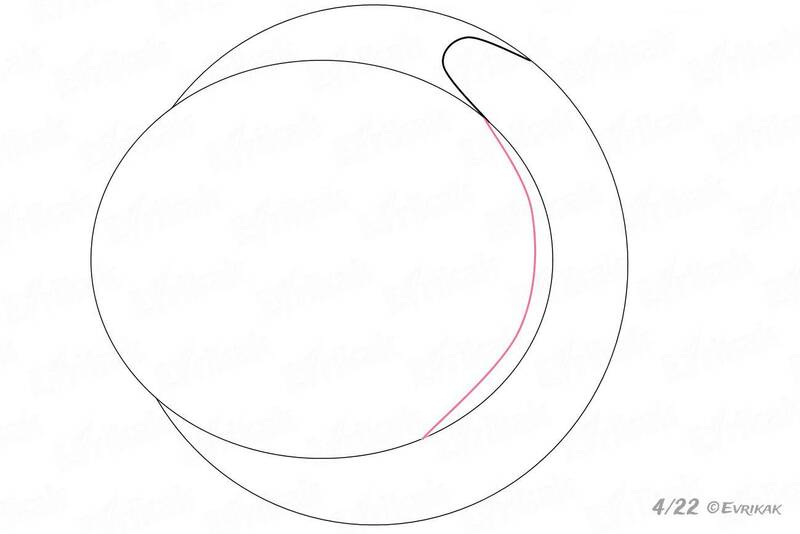 Draw an irregular elongated semicircle inside the Crescent on top, marking the top of the fruit. 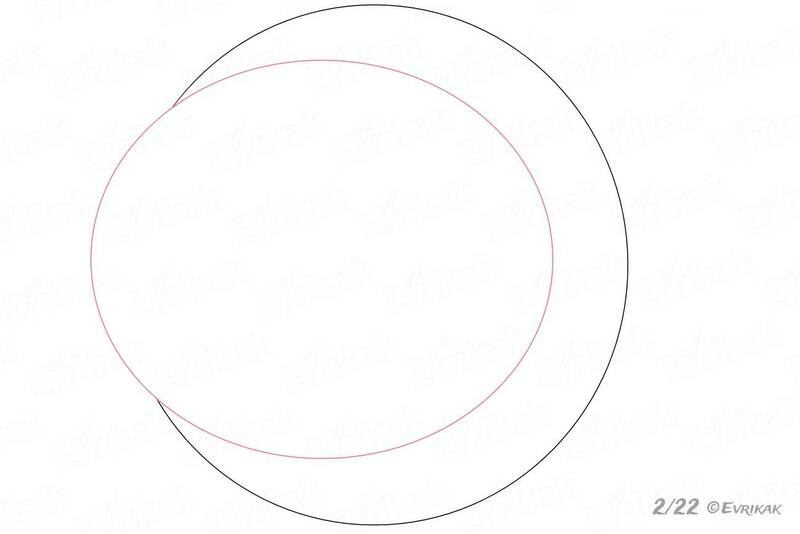 Erase two circles. Now we have the incomplete outline of a banana. 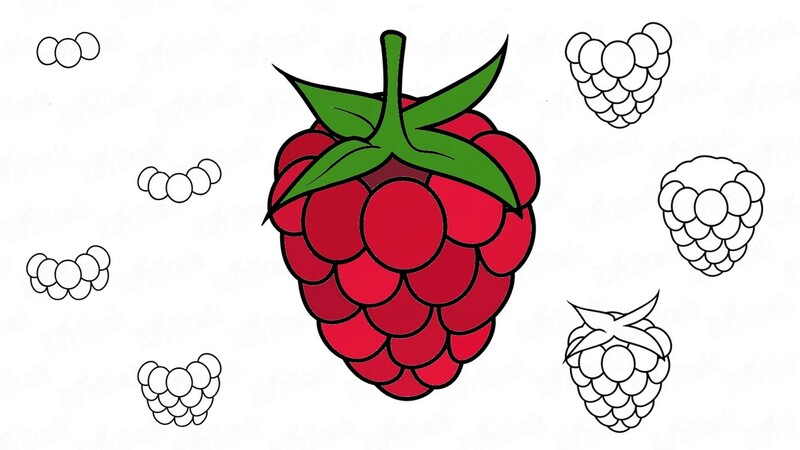 Start drawing the lower part of the berry with the help of the lines which are being narrowed. 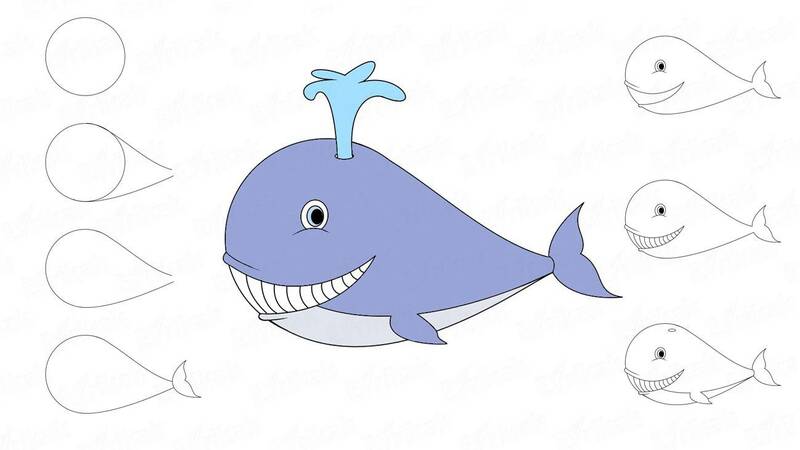 When the tip will be finished, erase unnecessary lines. 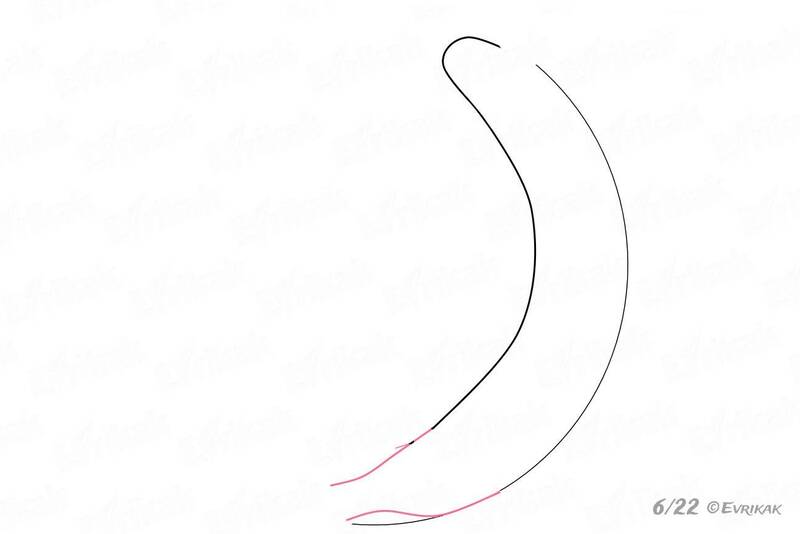 Connect the lower part with a help of the curved line. Separate the tip from the banana with the help of an uneven line. 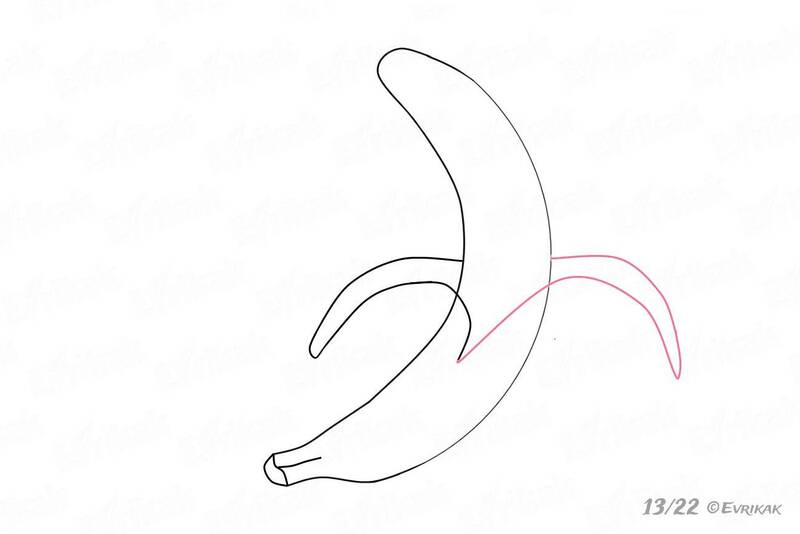 Just below the middle of the banana, draw a curved line which resembles a petal. Continue drawing the line, bending it almost to the level of the lower part of the fruit. Draw up the same line, connecting it with a banana. You’ll get a piece of the peel. The second part of the peel is on the right. 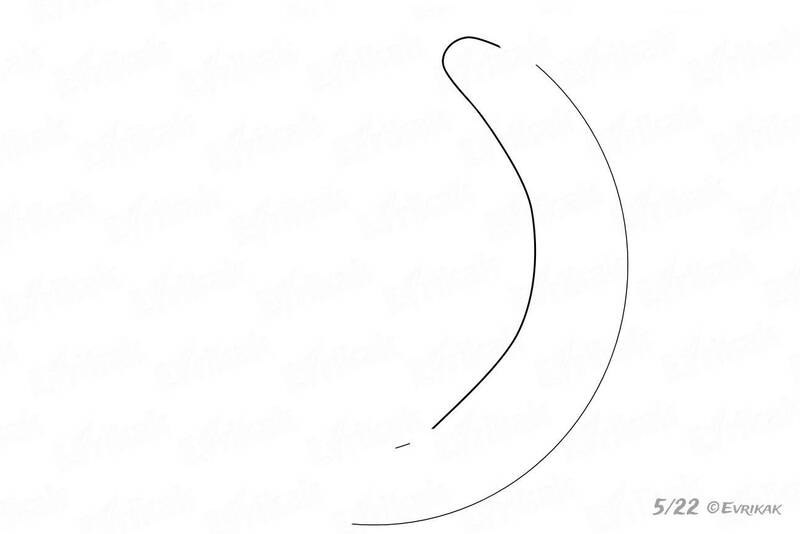 It begins from the line of the first part and it’s being depicted with the help of the same curved lines. Draw the third part of the peel in a different way. 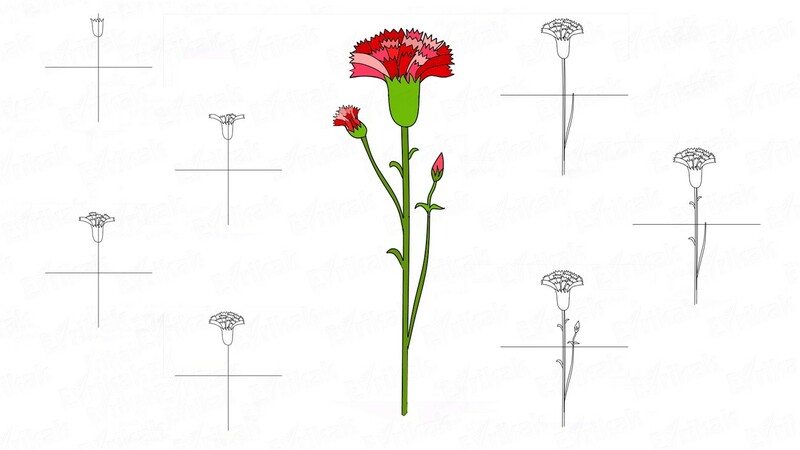 First, it bends down and then it bends upward. 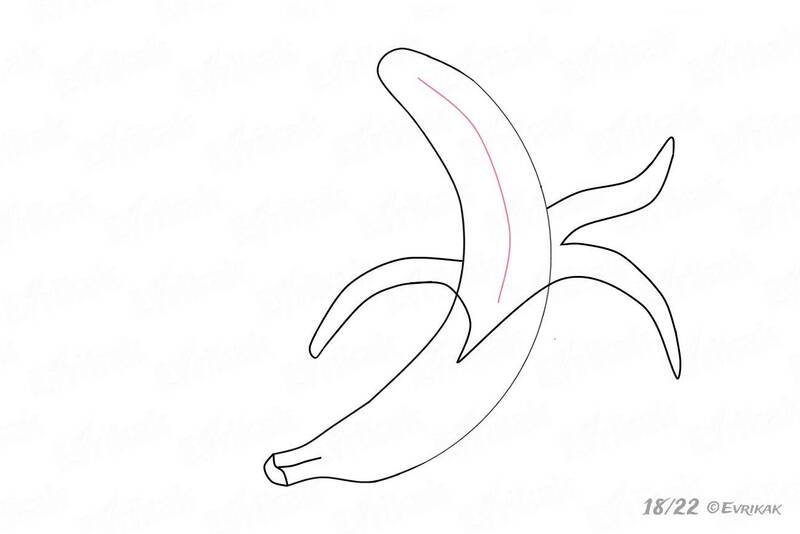 Erase the unnecessary lines on the banana. Inside the third part of the peel, draw a curved line connecting it with the fruit. Draw vertically a curved line in the center of the banana. Draw a curved line on the first part of the peel near the edge. 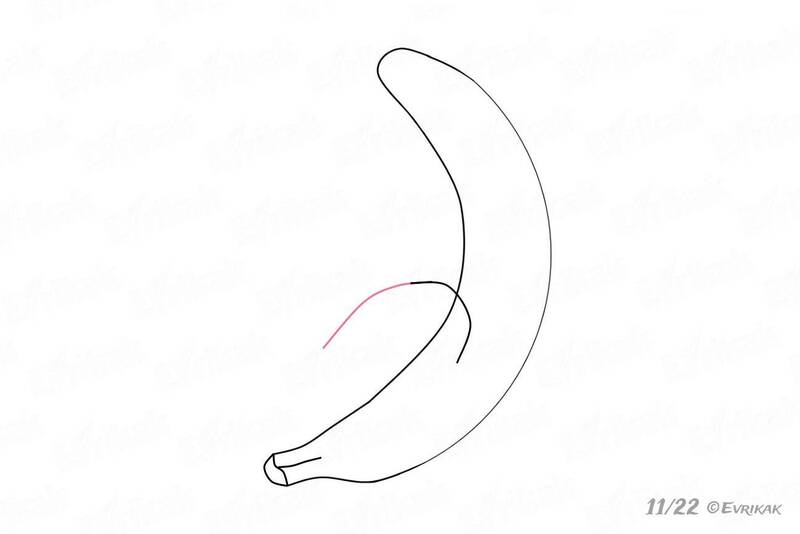 Give a proper bend to the line and connect it with a banana. 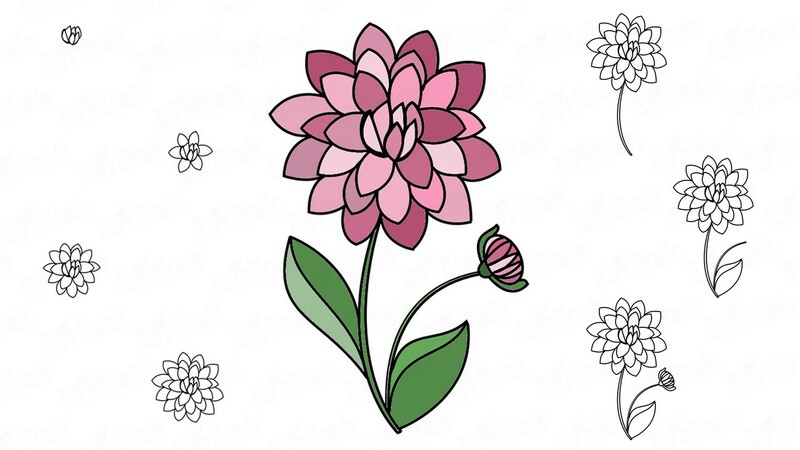 Erase the unnecessary details and draw a short vertical line at the bottom. Bananas are yellow as you know. 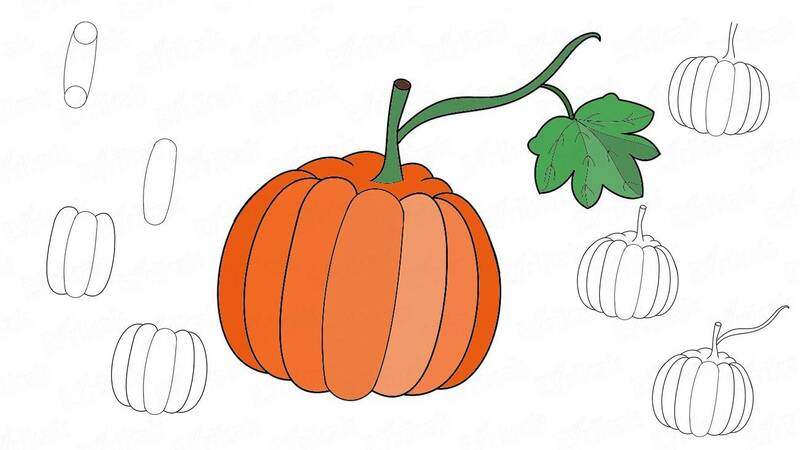 You can make the fruit lighter and make the peel darker. Though you can make the berry look more exotic and color it in red together with a child.